« The onslaught to carers and their families continues…. This is Jane’s story. All the names within this blog are anonymised. This story is one that features some very difficult and real life experiences. 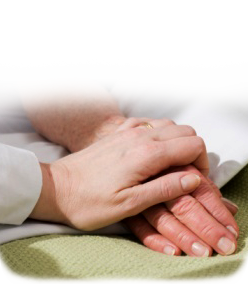 Experience of how palliative care at home does – and sometimes doesn’t work. Some parts of this story are harrowing. But they are all true. No part of this story is designed to be critical of any one person – more of systems, policies and procedures that fail those who chose to spend their end of life at home – a choice many of us want, but which can be denied to us because of a group failure amongst community based services. A little background will aid the understanding of this story. Jane was diagnosed with primary progressive MS at the age of 17. Symptoms at that early stage were reasonably manageable and focussed on a mobility impairment that required part time use of a wheelchair. As progression advanced, other very typical symptoms emerged including continence issues, difficulties around eating and drinking, slurred speech and all the other ways MS can manifest itself. Nevertheless, Jane continued to lead a fulfilling life and gave birth to her son in 1993. Ten years later her condition took a very rapid decline and, by the age of 43 Jane was beginning to lose her powers of communication, had a stoma and an SPC fitted and migrated to PEG feeding. There was little doubt that Jane maintained her intellectual ability. This entry was posted on 22 May 2013 at 11:55 and is filed under palliative care. You can follow any responses to this entry through the RSS 2.0 feed. You can leave a response, or trackback from your own site.